It’s not news that Kindle eBook and CreateSpace print copy publishing, as well as Amazon Affiliate businesses have bloomed in recent years. The number of Kindle authors has skyrocketed, and writers from all over the world are uploading and publishing their literary masterpieces through the Amazon online store. More experienced authors also make use of Amazon owned CreateSpace platform to create “Print On Demand” paperback copies of their eBooks for even more distribution and income opportunities. And yet even more experienced online entrepreneurs/authors make use of Amazon Affiliates to increase their profits from book advertisements as well earn a little extra cash from directing people to Amazon stores in general. However, when it comes to withdrawing and getting your hands on those hard earned profits, people in some regions of the world have to jump through a lot of hoops. And in many cases, authors and entrepreneurs alike are left with the assumption that they simply cannot withdraw the funds in a cost or time efficient manner because of the limited options provided by Amazon itself. This complicates matters a fair bit for many authors and entrepreneurs. After all, smooth flow of income is a necessary foundation for being a full time, consistently successful writer or online businessman. Delays and additional costs will make anyone think twice before considering dedicating their full time to such careers. *The above link and all Payoneer links that follow are Affiliate links. By signing up to their service through these links, I am paid a small fee by Payoneer while you as the referred person will receive $25 USD reward. This article is written in my words and Payoneer has in no way interfered in its writing. Basically, Payoneer acts like a middle man, that makes sending or receiving payments from anywhere in the world, from or to just about every company, a breeze. 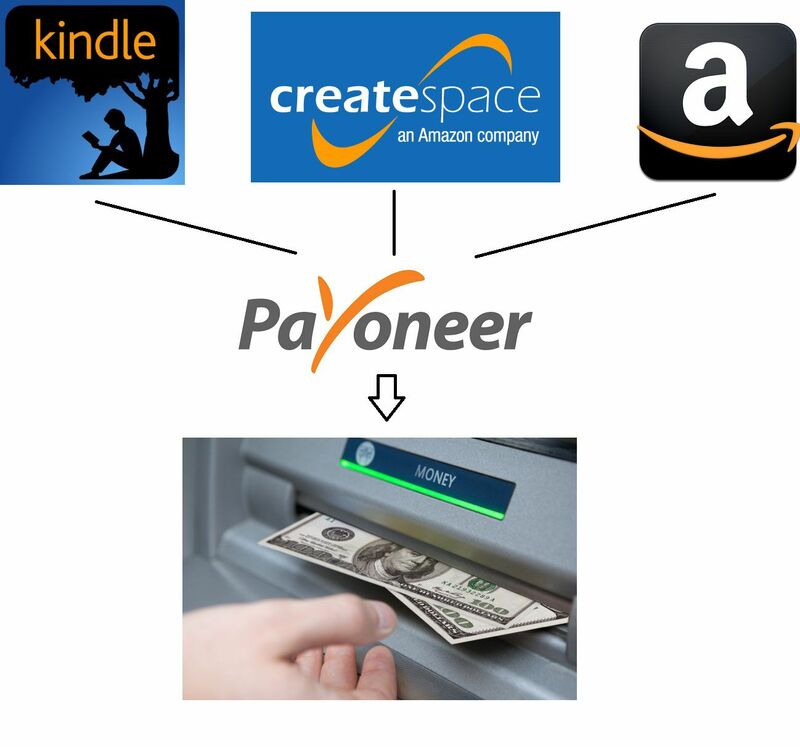 Just “Payoneer it”. 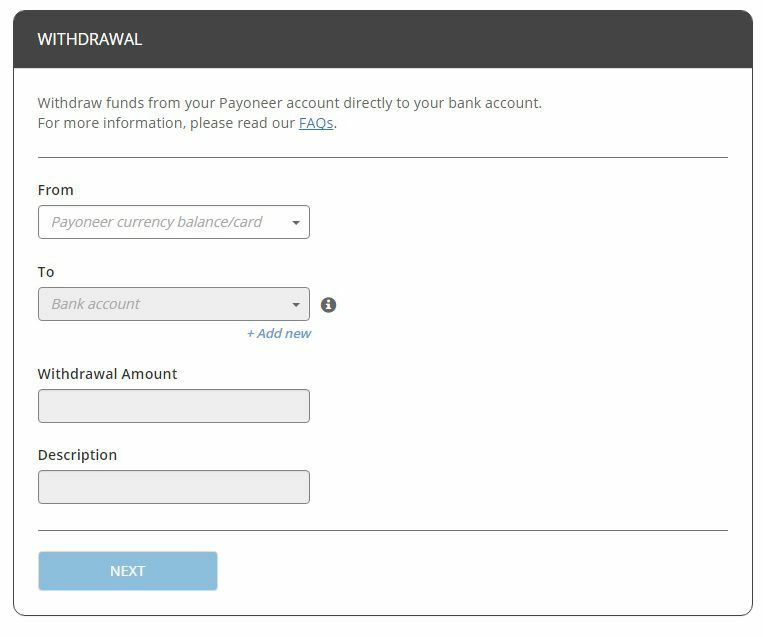 In this article we’ll look at how Payoneer can help you with your Amazon related withdrawals and streamline your income. Time to “Payoneer Amazon”. You start off by creating an account on Payoneer – this is completely free. Once your account is made you can then apply for a Payoneer Pre-Paid Mastercard. This card will then be sent to you anywhere in the world by mail. This is really the only downside – you have to wait a couple of days for it to arrive. 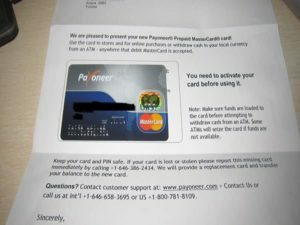 Once the card arrives, you can then verify it on your Payoneer account. 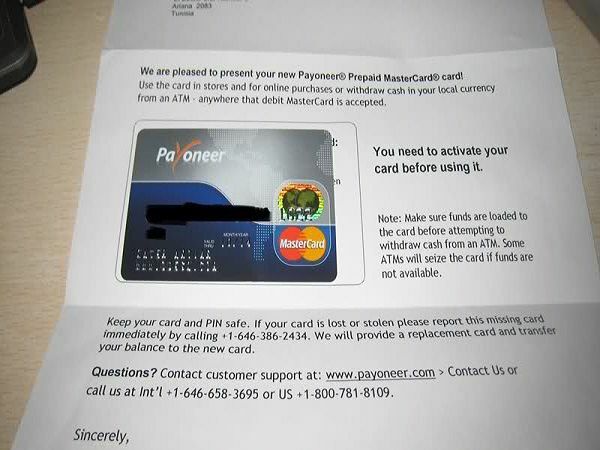 From there, you can link the card with the Payoneer US Payment Service. That’s a virtual US bank that for all intents and purposes will function like a standard US bank. And by linking your Mastercard with the bank, you’ve essentially obtained a valid US Bank account. From here on out, you can use the virtual Bank account details to sign up for Amazon EFT payments. Whether it’s KDP, CreateSpace or Amazon Affiliates, the payments will now be sent instantly and will show up on your Payoneer account, on the very same Payoneer Mastercard you received. Now, you can either spend the funds on the card directly – using it like any other pre-paid credit card, including using it to take cash out from ATM’s, OR you can transfer the funds from the card to your local bank account. The transfer will take a few days and just like that, you’ve received Amazon related payments on your non-US bank account. The hassle and the fees are minimal. I’ve been using Payoneer for my CreateSpace and Amazon Affiliate income for about a year now with no downsides (I get my Kindle royalties directly with EFT, so I don’t have to use Payoneer for that). 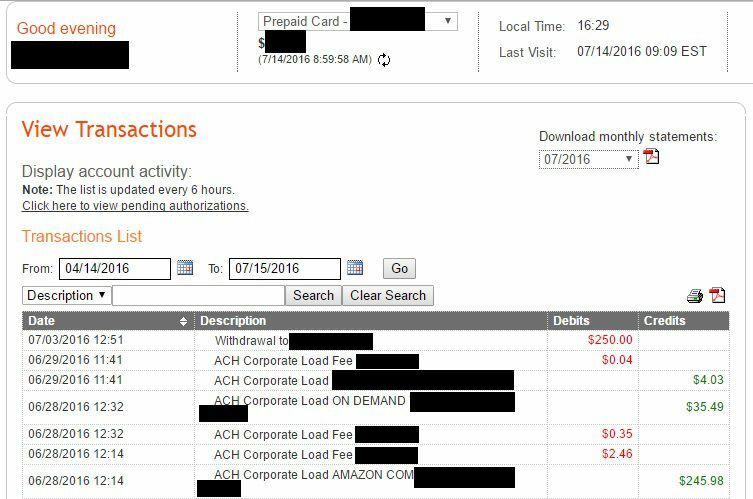 Every month like clockwork, my Amazon payments are processed and sent to my Payoneer Mastercard. Sometimes I use the card like any other card to pay for any purchases, but usually I just transfer the funds to my local non-US bank account where I can then use them more comfortably for any local electronic transfers – like paying the rent, bills and such. The only fee I pay is a 1% transfer fee for incoming funds. A negligible sum compared to what cashing out a cheque could possibly cost me. Here you can see incoming funds from Amazon Affiliates and CreateSpace as well as the only applicable fee – 1%. Another small downside is the $200 minimum transfer fee if you want to withdraw to your local bank account, but I consider it fairly irrelevant as smaller sums aren’t really worth withdrawing much anyway. And as mentioned before, you can still use the funds on the card as a normal payment method. So, yeah. “Payoneer Amazon” – give a shot if you’ve been stuck fiddling around with annoying cheques or having trouble cashing out your royalties and affiliate profits in general. And don’t worry – it does not break any Amazon ToS regulations. Amazon even has a supportive page about it in their Help section – Using Payoneer with Amazon. *And again, just to be transparent – the links on this page are affiliate links. If you sign up to their service through these links, I will receive a small fee, and you the referred person will receive a $25 USD reward. This article is written in my words and Payoneer has in no way interfered in its writing. Great! Thanks for sharing. Gonna definitely give it a shot. Just curious, is that income from book sales or only affiliate stuff? I didn’t show my entire transaction history, but in those images the larger sum is my amazon affiliate income and the smaller sums are from CreateSpace – which sells the print copies of my books. I’ll be the first one to admit I haven’t promoted my books in several months, so that income is fairly low. But my Kindle income comes directly to my bank account so I don’t have to use Payoneer for that. Though you can if Amazon doesn’t offer direct transfers to your country’s banks. I just published a paperback on KDP on August & I’ve seen paperback royalties, but I don’t know how to transfer them to Payoneer & I can’t see a change in my Payoneer balance. Also, I’m from Kenya. Payments aren’t sent until the end of the next month as far as I know. So for the royalties you earned in August, you can expect to receive the payment at the end of September.